A machine fleet counting more than 150 elements for turning, milling, grinding, broaching and plastic deformation of metal parts. 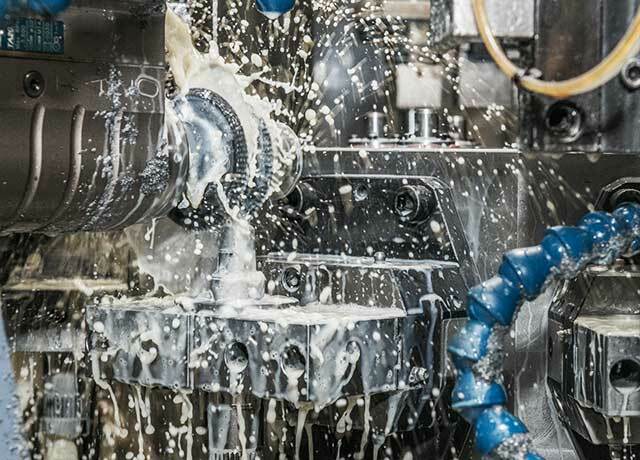 Turning is the most common machining process; it is executed on a lathe and consists in obtaining axial symmetrical surfaces through material removal. The bits of waste material are known as chips or swarf. 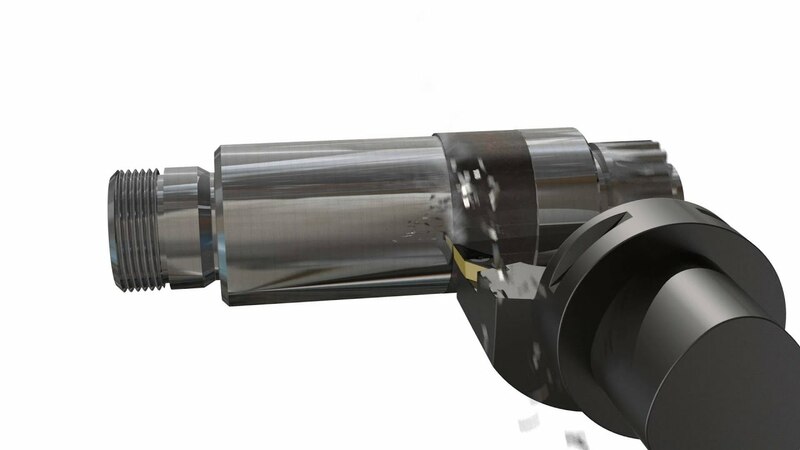 Every machining operation with material removal is as a surface generation process, obtained with a cutting tool. The workpiece and the cutting tool are provided with relative motion; the interaction between them causes a high local deformation of the material, which separates from the workpiece as a chip, altering the original shape of the surface. In turning, the material removal takes place by providing the workpiece with rotational movement and engraving it with a cuneiform cut-off tool, which is moving at a pre-set feed speed. Milling is another kind of operation that Gima S.p.A. is able to execute in the turning department, thanks to multi axis lathes and transfer machines. Gima S.p.A., in addition to several multi axis lathes, has available ten transfer machines and five CNC working centres, and it is a company considered in the forefront of such particular processing, able to satisfy every request by designing and building ad-hoc machinery. Grinding allows obtaining very precise high quality geometries and fine finished surfaces, like bearing houses and other parts, which require narrow dimensional and geometrical tolerances in the order of microns. Grinding is an abrasive machining process, using a wheel made of hard particles, that acts as microscopic single cutting edges. The grain of the grinding wheel establishes the abrasive capability and the roughness of the achievable surface. Grinding is usually a finishing operation and it is preceded by other processes. Gima S.p.A. owns twenty off-axis and three plane grinding machines, and has been one of the first qualified firms operating in the centre Italy, capable of performing such kind of operation. 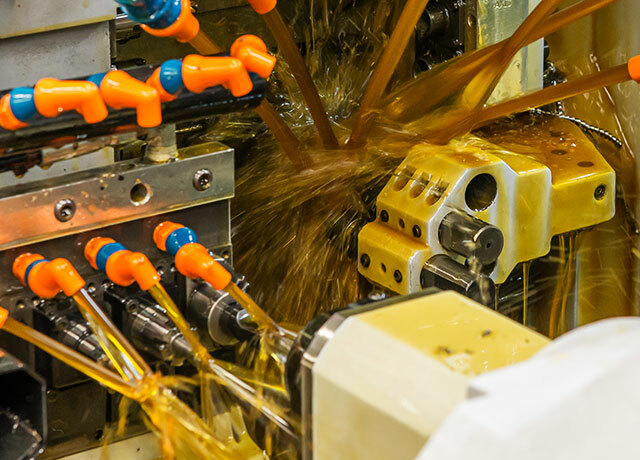 Rolling, checkering and knurling are operations that derive from plastic deformation. These processes differ from the other machining operations: the material is not removed but rather modelled, thanks to its plastic properties. The tool, shaped with the negative profile of the desired surface, is put in contact with the workpiece. Applying a high pressure, the material flows forming the part. Gima S.p.A. owns the best gear even for rolling, checkering and knurling, including ten rolling machines, some of which are inserted in highly automated production lines. 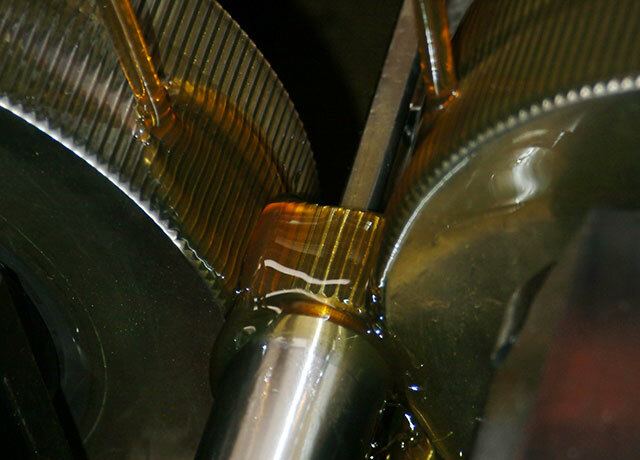 Broaching is one of the manufacturing with more growth within the production process of Gima S.p.A.. It consists in a material removal through a cutting tool shaped with the desired profile – called broach – that progressively removes material thanks to an incremental offset of each cutter. It is commonly used on shafts, applying a linear motion to the tool, in order to obtain spline surfaces, like ASA profiles and much more. The turning department of Gima S.p.A. can execute all the above-described processes and much more, as the common drilling and threading. Contact us for more information.